Aryavrit Travels has a fleet of vehicles approved by the relevant authorities of the Government of India, available at your convenience at any day of the year. 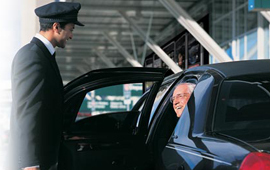 We provide you with the best drivers so that your journey takes place as comfortably as possible. They are professionally trained and speak English. These are the people you can count on during your trip, and they are ready to help you at any time. Familiar with the routes of all tourist places, they will make you discover places in the best manner. Aryavrit Travels can provide you all types of vehicles, from the "budget" category to the "luxury" category whatsoever, car, minibus or coach. Some of the best known brands as Ambassador, Honda, Hyundai, Mitsubishi, Tata, Toyota etc ... are extremely well equipped cars for safe and comfortable driving on Indian roads. You'll just have to contact us and we will find you the vehicle that best suits your needs.